Area rugs are critical elements of your home's interior design. Keeping any area rugs in your home in great condition is very important, but in areas with high traffic, your rugs can get dirty in a very small amount of time. Cleaning rugs regularly is important, since any amount of dirt, grime, or foods will only cause more damage over time. 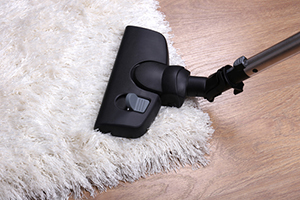 Many people might be tempted to try cleaning their rugs on their own, and while you should certainly should perform vacuuming on a regular basis, you should have a professional perform any major, thorough cleaning tasks. Area rugs require a gentle but effective approach to cleaning, and the professional Plano carpet cleaners at TruRenew Clean can provide high quality area rug cleaning services that will keep your rugs in the best condition possible at all times. Give us a call today to schedule your appointment, or to ask any questions you have about our services, and we'll be looking forward to assisting you. 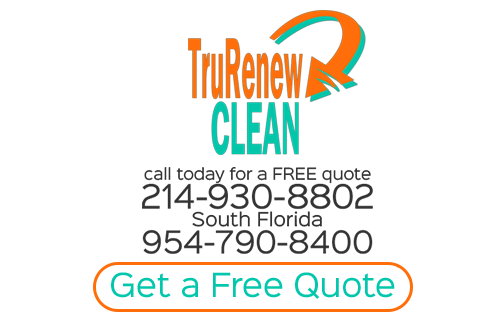 At TruRenew Clean, we understand how valuable your time is. That's why we offer pick-up and delivery services for any area rugs that you cleaned completely free of charge. We'll come to your home to pick up the rugs that you need to have serviced, and after we've finished cleaning them, we'll deliver them back to your home. Area rugs are delicate pieces of decor, so when they're cleaned, they need to be treated a perfect balance of gentleness and toughness. Our carpet cleaners are professionally trained and qualified to thoroughly clean any kind of rugs without causing any kind of damage to the material. Your area rugs are too special—and often too expensive—for you to risk having them damaged during the cleaning process. We understand that every rug cleaning situation is different, so begin every job by conducting an analysis of your rug. We'll take note of any areas of the rug that might require more or special attention. We'll determine which kinds of cleaning solutions will work best for your rug, then we'll wash your rug by hand. This process is gentle, but it's also highly effective, and it will keep your rug in the best condition possible while making sure that it's clean and attractive. Have a bigger project like a whole carpeted room? Check out our Plano Steam Cleaning service. If you are looking for Area Rug Cleaning then please call 214-930-8802 or complete our online request form.